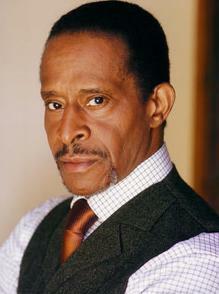 *Actor Antonio Fargas is best known for his role as informant Huggy Bear on the 1970’s hit television cop show “Starsky & Hutch,” but as of late, he’s been dishing the dirt on “Safari’s Song,” a book and play by his good friend Catherine Owens-Herrmann and the foundation it inspired called It Helps to Have a Dream, led by her husband Bill Herrmann. “Safari’s Song” is the story of a young moth named Safari, whose migration is more than just a journey up the East Coast, but a journey of growing up. 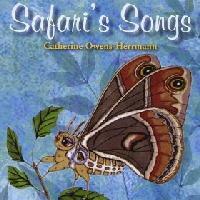 “The lead character is named Safari, who is a moth that becomes a Monarch butterfly. It’s about the journey of the Monarch butterfly hush – a hush is a flock of Monarch that takes this journey every year. It starts in Louisiana, where Cassie is from,” Fargas replied. Interestingly, as Cathy, a piano teacher, was writing the book, she was also often encountering the problem of illiteracy. “People that came to piano lessons, a lot of them couldn’t read,” Fargas said. So, Fargas played a large part in encouraging Ms. Hermann into writing the book and in tying it to tackling the literacy issue by forming It Helps to Have a Dream. The foundation’s mission is to promote love for books and reading by young people, as well as encourage an awareness and appreciation of the environment. That led to the music of “Safari’s Song” and interpretive readings of the book, which have since become a vehicle for raising money to support the foundation, according to Fargas. Cathy and Bill Herrmann are now working to turn the book into a play. Fargas told EUR’s Lee Bailey that book challenges young people, but that’s it’s also for the child in all of us. “It’s a story that addresses a lot of the things that young people need and us older folks admire,” he said. Today, in New York City, Fargas will narrate a reading of the book along with a musical rendition of “Safari’s Song” at the Kirk Theater.